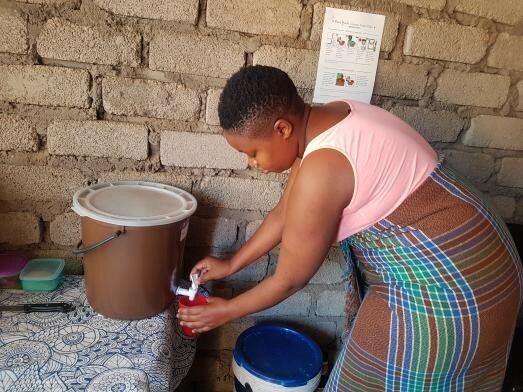 In the beginning of 2018, Nkosi enrolled for a Masters’ Degree at the University of Venda and her research project has been approved by the Department of Hydrology and Water Resources as well as the School of Environmental Sciences. Nkosi’s research aims to investigate a new cost-effective method of silver application to porous ceramic water filters. She is working on an interesting topic entitled “Assessment of the use of silver nitrate impregnated ceramic water filters as point-of-use water treatment devices”. The research aims at evaluating the microbiological quality (E. coli and total coliform counts) of water from silver nitrate impregnated ceramic filters and determining how different concentrations of silver nitrate affect the quality of filtrate. The study also investigates the economic benefit of replacing silver nanoparticles with silver nitrate in the ceramic filter technology. 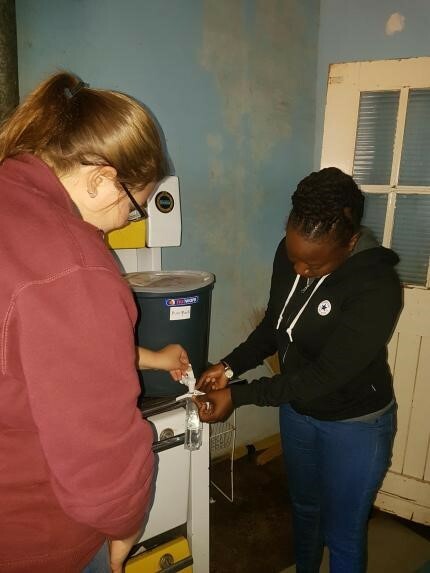 Nkosi is currently working with the University of Virginia students and they have been collecting water samples from thirty households in Dertig, North West Province. They are testing these samples for microbial water quality and silver levels. She will continue with sample collection and testing for the coming months. 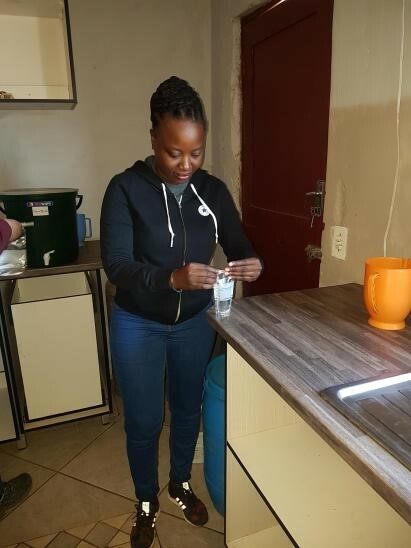 The results obtained from this study will be applied to improve point-of-use water treatment and hence reduce health problems associated with microbial contamination of water stored at household level. 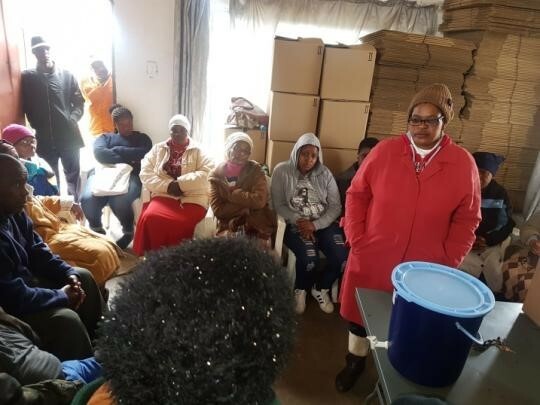 Thirty households partaking in the informed consent process at the PureMadi Dertig Filter Facility. The informed consent process provides participants with sufficiently detailed information on the study so that they can make an informed, voluntary and rational decision to participate.